Japan is a small country that happens to be very long. From end to end, Japan is well over 1000km long. It is larger than Germany in terms of land mass and has a very diverse ecosystem. You have the cold snowy north and the sub-tropical south. It is a common misconception that Japan is a small country. I would also argue that many people feel that any country that is outside of their own region is small, especially for Americans and Canadians. It is important to know that Japan, while small overall, is actually very long which helps create the illusion that it is small. Japan is divided into 8 main regions with a few sub-regions. In the north is Hokkaido. I have written a lot about Sapporo and the various festivals there. It is a winter wonderland and also a great summer getaway. In the winter, people head up there for skiing and to enjoy the delicious seafood. In the summer, the seafood is still around but people go to escape the heat and humidity of the south. Compared to other regions in Japan, Hokkaido is a relatively stable and sparsely populated region. It isn’t the “wild west” but it isn’t like Tokyo either. Getting from point A to point B in Hokkaido can be very difficult due to the sheer distances between cities and towns and the lack of trains can make it a difficult task. 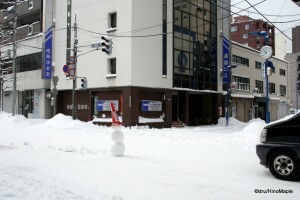 Renting a car is definitely recommended if you want to see the local areas such as Shiretoko but it isn’t a necessity. The bus network between cities is pretty good and you can get from Sapporo to most cities in Hokkaido by bus. Planes are not so popular and trains are good for the major cities. Unfortunately the trains can take a long time to get from place to place but keeping on the main belt from Asahikawa to Sapporo, then down to Hakodate via either Chitose or Niseko is relatively easy. Be prepared for long travel times and you will have a good time. Tohoku is the northern section of Honshu, the main island of Japan. The main island forms an ‘L’ shape and Tohoku is at the top of the ‘L’. It is a region that is very similar to Hokkaido yet also very temperate in nature. The most common starting point is Sendai. Including Sendai, all points north are considered Tohoku. Points below Sendai are generally Tohoku as well but places such as part of Fukushima can be considered part of the Kanto plains. Honshu itself is a very mountainous area with mountains bisecting the entire island into the Pacific and Sea of Japan side. This creates a very distinct feel in each city depending on which coast you are on. On the Pacific, the winters can be cold but there isn’t a lot of snow. The Sea of Japan side which includes Akita and Yamagata receive a lot of snow in the winter. In the summer, this area is more pleasant but the southern regions can be pretty hot and humid. It is literally a transition between Hokkaido and the temperate south. There are many local delicacies such as the Aomori apples and the beef tongue of Sendai. It isn’t a popular place for tourists as there aren’t many things to see and do compared to other regions. Hokkaido is well known for seafood and snow, but Tohoku doesn’t have a major drawing point for tourists. Kanto is the centre of Japan. It is a small section of Japan that includes Tokyo and located at the bend of the ‘L’ of Honshu. 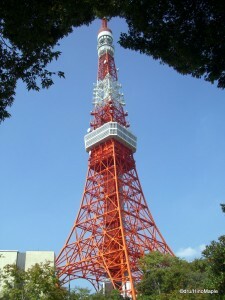 It is where almost everyone goes when they visit Japan and it is a pretty small area. The entire Kanto region can be considered as Greater Tokyo as many people do commute from the edges of Kanto to get into Tokyo. Some would argue that there are major cities and industries as well such as Yokohama but the shear size of Tokyo makes Yokohama feel like a twin city similar to the twin cities in Minnesota. Of course this is not the same however the idea that both cities can be considered the same city, rather twin cities, is true. There isn’t really much to say or add to this region as most people know about the Kanto region already. It is the heart of Japan. Most companies and most people live in this area. 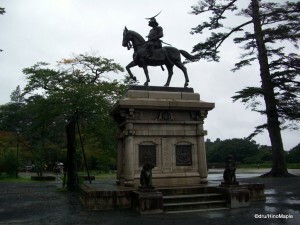 There are not a lot of historical places to visit anymore but places such as Nikko, Kamakura, and Hakone are excellent places with their own unique feel. Chubu is a very complex region. There are several sub-regions to Chubu due to its geography. It is a region that is bound by Mt. Fuji, bordering the north-western area of Kanto and extending west to Kyoto. It is also one of the most “visited” regions in Japan yet most people never stop to enjoy the region. I am also a victim of just passing through the region more times than not. Most people will go up to Mt. Fuji or pass through on their way to Kyoto. The few people who do go to the Chubu region will usually head off to Niigata and Nagano or do a little business in Nagoya. Due to the geography of the area is further subdivided into 3 regions. The lesser known is the Koshinetsu region that encompasses Nagano, Niigata, and Yamanashi. This area is well known for its snow and excellent onsen however the use of the name Koshinetsu is not popular. They are more commonly known by their own respective prefectures. The Hokuriku region is an area on the Sea of Japan side that is bordered by Niigata and Kyoto. It is considered a northern path to reach Kansai but it is often overlooked by people. It is still a somewhat remote area that is easily accessible by plane. Trains do travel to the region but the new Hokuriku Shinkansen isn’t expected to be finished for a long time. The main sections allowing access from Tokyo to the heart of Hokuriku will be complete in 2014 but the final section to Osaka has yet to be finalized. As it stands, this area is often overlooked due to its remoteness. The Tokai region is the most famous region as it is the main route for the Tokaido Shinkansen that links Tokyo to Osaka. 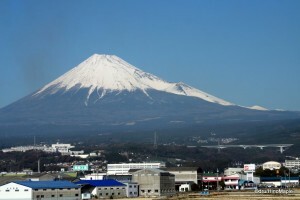 Shizuoka is one of the biggest prefectures in Japan yet very few people will visit it. 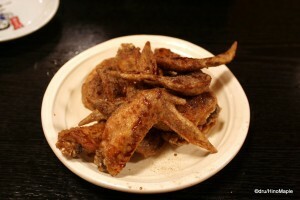 The most famous area is Nagoya where you can enjoy many delicacies. Nagoya is not a particularly interesting for those visiting other cities but it is famous for its castle, local deep fried delicacies, chicken wings, and Toyota. Toyota has their main factories located just outside Nagoya with a large museum as well. Nagoya is also one of the most popular cities for people wishing to see races at the nearby Suzuka Circuit, but the circuit is located in Kansai, not Chubu. Note: Due to the amount of information available, this is only part 1 of 2. Please continue reading about the Regions of Japan – Kansai to Okinawa. This entry was posted in Chubu, Hokkaido, Japan, Kanto, Tohoku, Tokyo and tagged Akita, Aomori, Asahikawa, Chiba, Chitose, Chubu, Fukushima, Gunma, Hakodate, Hakone, Hokkaido, Hokuriku, Honshu, Ibaragi, Ibaraki, Iwate, japan, Kamakura, Kanagawa, kansai, Kanto, Koshinetsu, kyoto, Mt. Fuji, Nagano, Nagoya, Niigata, Nikko, Niseko, osaka, Pacific Ocean, Saitama, Sapporo, Sea of Japan, Sendai, Shiretoko, Shizuoka, Size of Japan, Suzuka Circuit, Tochigi, Tohoku, Tokai, Tokaido, tokyo, Toyoma, Toyota, Yamagata, Yamanashi, Yokohama by Dru. Bookmark the permalink.